Is it really better for our kids to exposed to this than the real dope? A perfectly legal substance is reported to have sent over one hundred teens to the hospital with a wide range of medical complications. The poor kids thought they were getting a cheap, legal and safe high but got more than they bargained for. Doctors at a hospital in Austin reported that the teens were admitted with signs of psychosis and abnormal behavior. 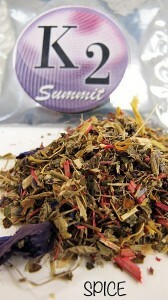 The fake pot these kids alleged consumed are synthetic cannabinoids, reportedly the brand K2. They are supposed to mimic the effects of marijuana. What they really are is potpourri sprayed with a chemical concoction that is concocted usually in places such as china. The side effects, however, are unpredictable, and often severe. They included rapid heart beat, elevated blood pressure, and even vomiting. Does not sound like a very buzz at all – and it begs the question, is this what we prefer over the real deal? These chemical formulations are ever-changing which means that the law is ill equipped to regulate it. They take out a carbon here, add a hydrogen there, and woa-lah, the new formula is legal. AND UNTESTED. This means no one knows what these substances will do to you, and our teenagers are the guinea pigs. Marijuana, which has been linked to the death of no one continues to remain illegal, leaving open a grey-market for the synthetic marijuana industry. Not only do you not know what you are getting with the synthetics, you do not know what quantity of the substance it has been laced with. The solution to the epidemic of synthetic cannabinoids may be far off in states such as Texas, but legalization and regulation is the only solution for keeping these dangerous knock offs off the shelves.